VELUX EHF Champions League winners KS Vive Tauron Kielce will head to Qatar for the IHF Super Globe on 5-8 September 2016 for the very first time. The Polish club will join continental champions from Africa, Asia, Panamerica and Oceania in the eight-team event. 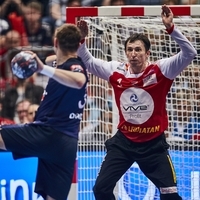 Third place finishers at the VELUX EHF FINAL4, Paris Saint-Germain Handball will also make their debut as the wild card entry. The third participant from Europe is Germany's Füchse Berlin, who won last year's event after being granted a wild card following their victory in the EHF Cup Finals 2015. This year's event, hosted by Qatari club Al Sadd, marks the tenth edition of the competition which has been won on eight occasions by European sides.